Our CAD/CAM, APM (workshop automation software) and ERP business software solutions fit logically together. Avoid duplication data entry and reduce errors. With Plan-de-CAMpagne you get a entire software solution for all processes from request for quotation to the invoicing. In addition, you can realize twice as many orders with the same capacity through time savings and error reduction thanks to one-off data entry. With APM+, thanks to insight in location and stock management of tools, measuring and clamping tools you no longer have to search for tools. Improve quality and prevent product faults or machine downtime through graphical insight in SPC (Statistic Process Control). Design, simulate and produce your complex products easily with the user-friendly and intuitive software from TopSolid and realize 30% more spindle efficiency. From product design to the generation of the NC code; get in right the first time thanks to the reliable machine simulation! TopSolid’Wood ensures proper control of complex CNC woodworking machines thanks to full integration between CAD and CAM. All linked parts lists (boms), working drawings and files are automatically updated when changes are made. This saves you a considerable amount of time and significantly reduces the risk of errors! Our customers vary from tool makers and mold makers in the machining industry, to furniture and interior design, and woodworking and wood trade in the yacht and shipbuilding industry. Bemet is active in many industries. From tool making and mold making in machining, to furniture and interior design in the yacht and shipbuilding industry. From worldwide industry leaders to local businesses. Just around the corner! Who we are? We're a solution provider, and certainly not a box-mover who supplies software! Bemet doesn't just deliver software. We take care of the entire implementation. From process analysis up to and including training. We have been doing this since 1990, created from practical experience of projects from many different backgrounds and industries. We supply CAD/CAM, ERP and APM (workshop automation)software for the manufacturing industry. Thanks to our thorough knowledge and precise understanding of what is happening in the market and what our customers need, we have grown into a serious IT/automation company. 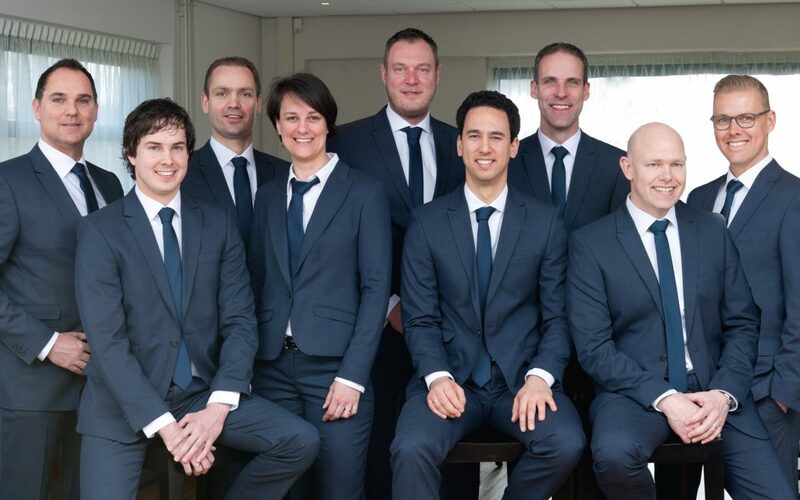 With more than 60 employees and over 1.000 satisfied customers in The Netherlands and abroad. STIGO owner Jacek Juras (left) received the Value Added Reseller award from Martijn Groeneweg – Director International at Bemet International (right) for best international reseller of ERP software Plan-de-CAMpagne at Bemet’s annual Partner meeting. STIGO was top-seller in 2015 and participated in partner and training events. Bemet is proud to announce that UVW from Soracaba (Sao Paolo) has become Bemet’s first Plan-de-CAMpagne partner in Brazil. Bemet welcomes SNC Solutions Pty Ltd as our Plan-de-CAMpagne partner in Australia – Melbourne. Ready for an optimal production process?